To be successful in work you need a well-stocked toolbox: the essentials of your trade that will help you tweak, fix, strengthen and grow your business. Whatever your trade, there are certain tools you need to succeed in reaching your goals. Artists need a canvas, paint and brushes. Chefs need a kitchen, utensils and fresh ingredients. Builders need the traditional hammers, nails, screwdrivers and drills. As a culinary brand, part of your business success is content marketing. Your content marketing strategy begins with setting goals, which should take into consideration the steps you need to take to become your own publisher. Once your strategy is in place, the next step is thinking through content marketing best practices so that you maximize your efforts along the way. Now that you’ve created your strategy based on the goals you have determined, it’s time to make sure your content marketing toolbox is filled with the right essentials. Here are 4 tools that every good content marketing strategy needs in its toolbox. 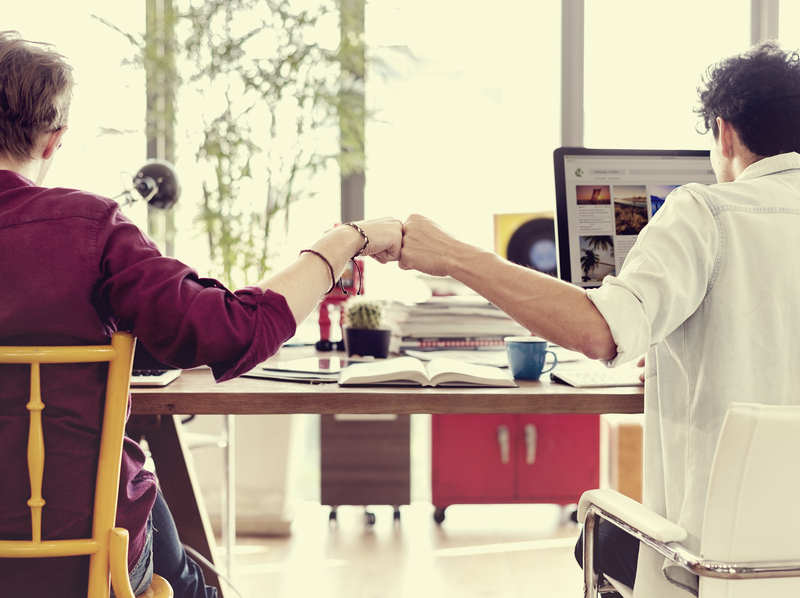 Your business would be nothing without your team: your employees, business partners and the freelancers and agencies you collaborate with to reach your business goals. Any HR person would tell you having the right people on your team is a non-negotiable to see your business thrive. As you build your team and marketing strategy, take time to identify what responsibilities will be handled in-house and which will benefit you to outsource. This will help you play to your strengths and focus on hiring the right employees to be on your in-house staff, while delegating other tasks to reputable and capable professionals who will partner with you for a job well done. Nothing is in life is free (even though we wish it were! ), so having a good grasp on your budget is wise before jumping into your marketing efforts. What is your current budget? Does it cover your current marketing efforts? Once you have your baseline, consider what marketing efforts you would like to increase. How will your budget increase to accommodate the new costs? A comprehensive budget that is well-monitored will be an important asset to you as you pursue new marketing endeavors. A website is the bedrock of your online business. It is the hub of information, the place people go to learn more about your brand, to connect with your brand and to make the leap to become customers. With this in mind, it is essential that you have a quality website that runs smoothly, that is easy to navigate, that is visually appealing and that is optimized to keep sending you traffic for years to come. Hop online and assess your website with these aspects in mind. How does it rate? If there is any doubt, it’s probably a good time to update your online home with a solid web development package. Do you have everything you need on hand to complete your marketing goals? While a quality website is a vital foundation, there are many other components to consider adding to the drawers of your toolbox. In today’s Visual Age, building a photo library for your brand is a must. Your team, particularly those working directly with your online presence, need graphics to post, update and promote with on a daily basis. A photo library will ensure that no day will leave you scrambling to come up with content. To do this requires working with seasoned creatives, which is why collaborating with a culinary content agency just makes sense. Working with a food-focused content agency such a Dish Works gives you access to professional photographers, videographers, graphic designers and writers. It is the resource that keeps on giving! How is your content marketing toolbox? Is it full? Are you utilizing the right tools? We can help you assess the resources you have on hand and help connect you with the right ones to lead your brand to marketing success. Learn more on our website and get in touch with us to get started!